For a while now people have people talking about how the Social Justice Warriors of the regressive left behave like a religion. The central driving force in their life is social justice. It is just as dogmatic as every religion. If you do not follow their beliefs you are seen as morally inferior and an outsider etc. 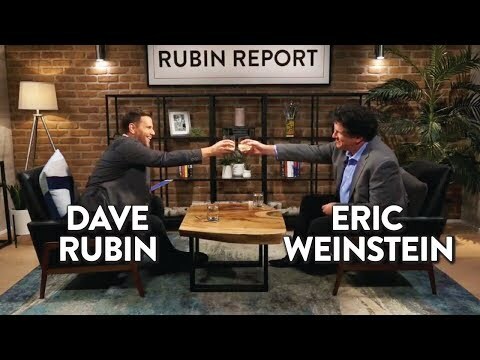 In this chat with Dave Rubin , Eric Weinstein, suggests that safe spaces are about creating room for ideas that wouldn't be able to withstand intellectual or reality challenges, to survive and flourish. So he is effectively saying this is pretty much like a cult, perpetuated by mainstream institutions? Do you think this is the case? Aren't both US political parties extremely cult like. They have a charismatic leader, everyone follows, they have an ideology, there are insiders and outsiders. • Followers feel they can never be"good enough". • The group/leader is the exclusive means of knowing"truth" or receiving validation, no other process of discovery is really acceptable or credible. It seems the regressive left and both political parties follow most of these characteristics, with the exception of abuse. Obviously there are elements of sexual abuse and financial irregularities coming from some of the top people, but there isn't a situation where there is widespread abuse. I think the definitions above indicate a destructive cult. That is the most insidious form of cult, but cult like thinking can take many forms. It's clear that the regressive think and act in a cult like way. But even the IDW is like a cult, its a tribal group. no its completely different that is like when they call atheism a religion. Atheism is a lack of belief based on rationality. the IDW is a group but its defined by free thinking. The whole point of these other groups being called cults is that their thinking wont survive challenges. The IDW wants all their ideas challenged. It is clear all the memebers of the IDW think very differently on many issues, they only really agree on the fact that the mainstream media is not a home for them that treats their ideas fairly. But back to the new idea from Weinstein, about Safe Spaces being a way to protect a narrative so it can't be challenged, anyone got a counter to that? Well this actually can;t be the case because safe spaces, are supposed to be a delimited zone, so that everywhere else there can be free discussion. So surely safe spaces create room for aggressive discussion of ideas. Well, when are you adding the word “regressive”, it definitely have a cult-like feel. That’s true for right wing also.